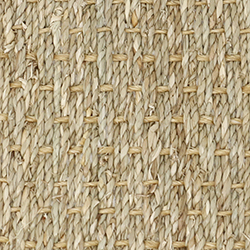 Calypso is a basic seagrass weave with lots of shade variation, knots and texture variation—it's a rustic look. 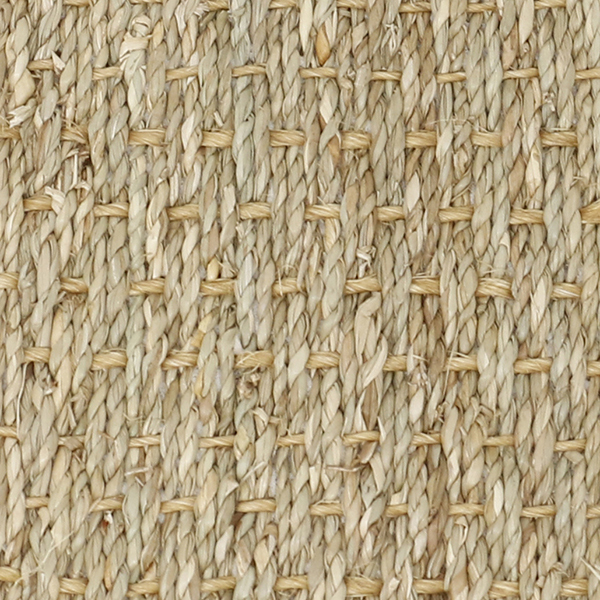 When customers refer to seagrass, 99% of the time they are referring to this weave. Calypso has been a best seller for us for over 20 years. This weave is very popular with our interior design clients. Note: Because seagrass and hemp are especially susceptible to mold and mildew growth when exposed to humidity or moisture, they are recommended for use as area rugs or for wall-to-wall installation in dry, climate-controlled settings only. Also note: We recommend using a rug pad with all seagrass rugs as the natural latex backing used on all seagrass rugs worldwide has been known to breakdown over time and stick to some surfaces. Broadloom for wall-to-wall installation costs $26 per sq yd. The roll width is 13' 2". For more information or to create a custom rug, see rug builder below. Freight is free with all rug orders.